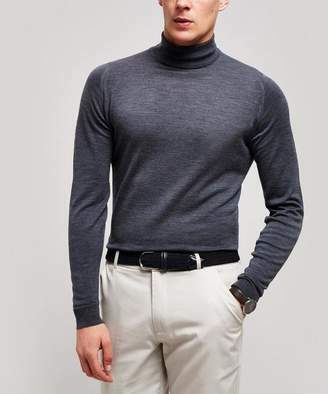 The Cherwell Roll-Neck jumper has been a signature piece from British knitwear label John Smedley since the 70s.A well-cut, quality roll-neck is an essential in any modern mans wardrobe. This one is part of John Smedleys Icons collection and is tailored from extra fine Merino wool in a breathable 30 gauge. Perfect for the office, it can be layered under a suit for a 60s take on formal dressing.